Left to right: Geraint Richards, Nicholas Hill and Graham Taylor. Forestry@Bangor graduate, Nicholas Hill (MSc Environmental Forestry, 2015), was the top student from the two dozen who took part in Woodland Heritage’s ever-popular ‘From Woodland to Workshop’ training courses in 2015. The unanimous choice of the expert tutors on last year’s courses, Nick received The Prince of Wales Award at an event held recently at Bangor University. This year the award was presented by Woodland Heritage trustees, Geraint Richards (Head Forester for the Duchy of Cornwall) and Graham Taylor (Managing Director of Pryor & Rickett Silviculture), who are also course tutors and had been speaking at the university’s event. The Prince of Wales Award is given each year to the student who is felt to have made the most significant progress on the ‘From Woodland to Workshop’ courses, held annually in May and September at Whitney Sawmills in Herefordshire. With participants selected deliberately to try to achieve the best mix of skills and interests along the timber supply chain from grower to harvester, to processor to end-user, the selection of The Prince of Wales Award winner is always a difficult job. “Participants in the ‘From Woodland to Workshop’ courses always come eager to learn and to see how their own individual role fits into the overall supply chain”, said Guy Corbett-Marshall, Development Director at Woodland Heritage. “Even if they are very familiar with their own sphere of working, it’s amazing how much they learn from the tutors and from the other participants, so everyone leaves with horizons broadened and new outlooks on the whole timber sector. Because everyone is so positive, it’s always hard to choose the winner of The Prince of Wales Award, so special praise is due to Nick Hill for his achievement”. Reflective of the diversity of the sector, past winners of The Prince of Wales Award, introduced in 2010, have included including forestry consultants, sawmillers and woodworkers, all of whom remain working actively in the forestry and timber sectors. 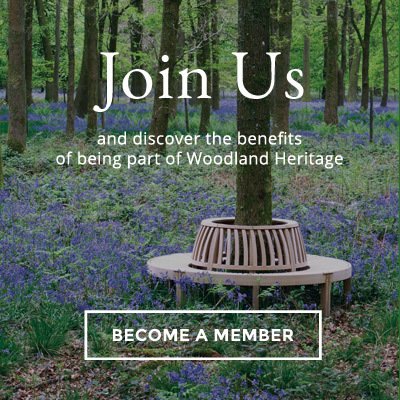 More information about ‘From Woodland to Workshop’ courses, including a downloadable leaflet, can be found by clicking here.